The we love our sailor personalized Christmas ornament is perfect for hanging on the tree, the front door or anywhere you want your message of support to be seen. 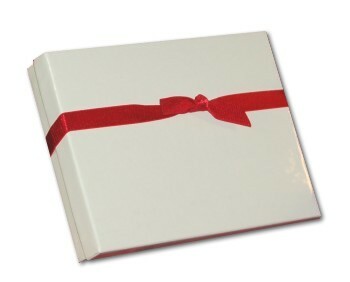 It comes with a display cord already attached, and the ornament package includes our exclusive velvet gift bag. 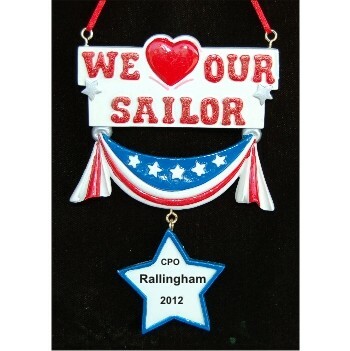 We offer a wide range of military ornaments personalized for armed forces personnel on your gift list. Not just a Christmas ornament, the we love our sailor ornament personalized to make it special is perfect for birthdays, care packages, send-offs or when he or she comes safely home. Nice for the Price Nov 12, 2014 Georgina F.